How old is too old? An expert says let your kids decide. The holidays are a magical time for children. But what happens when your kids stop believing in the magic, especially in the jolly old man in the red suit? Lena Zettler, MA, LPA, director of Psychology at Cook Children’s Medical Center, said that belief requires “magical thinking,” which is a normal process and coping skill that kids possess. Kids have a lot of magical thinking at the age of 3 and much less of it by age 12. Magical thinking is what allows kids to believe. But, there are many other factors that also play into this belief: cultural reinforcement, religious beliefs, emotional situations, family stress, family beliefs/customs, peer and sibling beliefs, etc. Speaking more as a parent than a professional, Zettler said parents should let their kids guide them on this issue. “If a 9 year old wants to stand in line to sit on Santa’s lap at the mall, is that a bad thing? Parents could find the joy in that desire and embrace it too,” she said. But back to her professional opinion, Zettler said she believes parents worry WAY too much and this is a good example of one thing they shouldn’t get too worried about. She said the magical issue we are addressing is not a developmental task that has to be accomplished by a certain age. Besides, regardless of how old we are, we all want to believe a little bit. Don’t we? Lena Zettler speaks on this topic in this great blog on Romper. 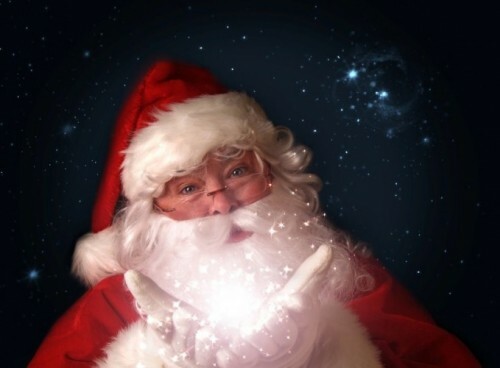 Click to read, "I Never Stopped Believing in Santa Claus, & Experts Say That's Just Fine." "I'd be lying if I said there isn't some tiny part of my heart, of my soul, that still believes in Santa Claus." We agree! Click to read the rest of this great article. Merry Christmas everyone. Are ya kiddin? I'm 55 and I STILL believe in the Big Guy! Merry Christmas!